Eddie, as in all underdog sports movies, has a dream that seems unlikely, impossible, and foolish. 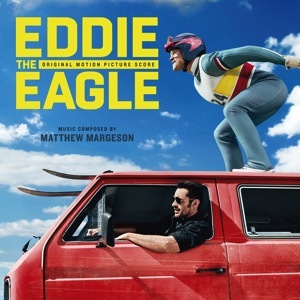 And, again, as in all underdog sports movies, Eddie has a father (or a mother, if the protagonist is female, my daughter-in-law points out) who does not believe in him and reiterates throughout the film how disappointed he is in his son’s outlandish and impractical ambitions. Predictably, Eddie succeeds, opening the way to the dramatic and ostensibly emotional finish where Eddie’s dad meets Eddie at the airport after his triumph with “I’m Eddie’s Dad” embroidered on his sweater and “I’m proud of you, son” on his lips. And everyone goes, “Ahhhh.” Including me. Throughout the film this dad has ridiculed and derided his son incessantly. BUT, because the son is successful, he has now earned his father’s love and support. Really? This father who has never hugged his son now hugs him because he is a success. The father’s affection is linked to the son’s performance and, as my son would say, “That’s messed up.” What would have happened had Eddie returned a failure? What if Eddie’s dreams had crashed and burned? What then, when he would have needed love and acceptance and a hug even more? I hate to think. I’m so grateful that a father’s genuine love is not dependent upon a son’s success. I’m so thankful for the love of a heavenly Father whose embrace is ready even when I severely fail. I’m comforted knowing that even if the dreams of this old and crusty sixty-year-old never materialize or if they end in smoke and flames, I have a Father who will still see me as his beloved son. And I don’t need to ski-jump to earn it. He had a good life, my nickel. But with Indiana’s loss, his run is over. If anyone is interested, I will give him free to a good home. At the end of the second round of the NCAA tournament, my precious Nickel is showing his limitations. He’s not doing badly, but his stellar first round picks were not matched by his second round. Silver’s were more, well, sterling. So, here are the scores following the second round (second round games score two points/victory). Nickel does pick FGCU to beat Florida. Bet your bracket doesn’t even have FGCU PLAYING Florida. So there. Thus far, massive computers and sophisticated metrics have failed to top a simple coin flip. Nickel, by the way, is a BIG fan of Florida Gulf Coast University, taking them to the round of eight. We’ll see. Nickel also had Kansas State in the championship game. Nate Silver is the ultra-geek whose statistical analysis last year was successful in predicting the outcome in every state in the 2012 presidential election. But his first love has been sports, and so he has turned his computers in the direction of the NCAA tournament. It’s pretty impressive, really. He quantifies everything from strength of schedule to pre-season expectations to current injuries. 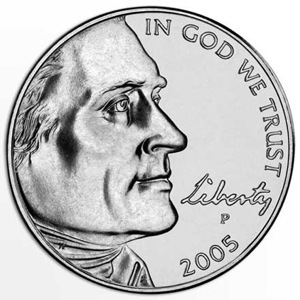 But Nate Silver does not have my nickel. I’m not going to count the play-in games of the past two nights in the bracket score. However, to whet our appetites for the ensuing battle, note that Silver’s computers generated predictions accurate for 3 of the four games. This beat three of my four brackets (explained here). The one he could not top was my nickel, which matched his success rate of 3 of 4. In the past I’ve completed my NCAA tournament bracket like I really knew what I was doing. That wasn’t much fun because, truth be told, I really DON’T know what I’m doing and pretending that I did was just another source of stress. So, last night I stayed up WAY past my bedtime (must have been after 10:00) completing four different brackets, all based on different objective metrics. Take issue with me if you like, but then match your brilliance against mine. The first I completed is based upon offensive ranking. That is, the team with the highest points per game during the regular season would be assumed to beat the team ranked, say 26th. This proved to be a fairly disastrous approach. I’m not sure anyone is seriously looking for Northwestern State to win it all, even with their insane 81 ppg average. In fact, I’m not sure I could find three people who know where Northwestern State IS. This did make me interested in their Friday evening game against Florida, however. So, it was not all a disaster. Secondly, I completed a bracket based upon defensive ranking. In this case, the team with the lower points per game allowed is assumed to beat the team with the higher ppg allowed. This proved to be a little bit more interesting, as it produced an unlikely but still possible final four of Pitt, Middle Tennessee State, Syracuse, and Florida, with Florida taking it all. This was the only scenario in which my Michigan State Spartans make it out of the first round. My third attempt was a composite of the first two. I averaged a team’s offensive and defensive ranking, so that a team that was number 30 in the offensive ranking and number 70 in the defensive ranking was assigned a rating of 50. The team with the lower rating, then, would be the presumed winner in any matchup. Curiously, judging matchups this way resulted in a predictable final four composed of all four #1 seeds. I think I’ve stumbled upon the selection committees assignment methodology. Gonzaga, the current #1 team in the country, wins it all. How boring. So, for my fourth bracket, and the one I’m most fond of, I reverted to a method I used in 1981, a method which led to a modest financial return. I took a nickel, and for each matchup assigned heads to the team on the top and tails to the team on the bottom, and flipped. In 1981, that method predicted Indiana to win the championship, which they did. Oddly enough, this year, the method produced the same outcome, from a final four including as well Cincinnati, Kansas State, and Villanova. I’ll assign one point to each accurate prediction in the first round, 2 points for the second round, four for the sweet sixteen, 8 for the elite eight, 16 for the semi-final games, and 32 for the championship game. I’m saying my lucky nickel bracket wins among the four. I’ll keep you posted. I tend to leave the sports analogies to my good and wise friend Geoff at Be Thou My Vision. One should leave stuff like that to the pros. He does a great job. But today I can’t help myself. I happened Sunday afternoon to catch the wild finish of the Seattle-Atlanta football game. With something like 18 seconds left in the game, Atlanta’s Matt Bryant was preparing to kick a 50+ yard field goal for the win. Just before the snap, but not in time to stop the snap, Seattle called a time-out. Teams do this ostensibly to mess with the kicker’s head. This time it backfired. As the whistles blew, the center snapped, and Bryant kicked. The ball sailed wide right. But it did not matter. It did not matter, except that this gave Bryant a practice shot and enabled him to make adjustments for the actual kick, which he nailed, and with which Atlanta won the game. Most of us don’t get to make such adjustments in the work we do. I know I don’t. I preach a sermon and on Monday can detail to any who will listen (and generally no one really wants to hear me whine) all that was wrong with it. I can see exactly how I went wrong, wide right or left, and what could be done to fix it. But the chance to make adjustments never comes. A preacher (or teacher, or worship leader, or whomever) has to realize that the power of his work does not alone reside in his ability to split the uprights. I told our music team on Sunday that they work really hard at their craft and I work really hard at mine. And we work so hard, that we might easily begin to think that the power in what we do lies in our hard work. We so easily forget what we regularly confess in the Apostles’ Creed: “I believe in the Holy Spirit”. I won’t always nail the field goal. Sometimes I won’t even reach the end zone. But when it comes to worship, we are really waiting to see what God will do with what we offer. In the smoldering remains of Major League Baseball’s April dreams, it’s great for those of us whose primary teams will go home in a few days to have some great stories to hang onto and celebrate. This year’s Big Story belongs to R. A. Dickey, the only knuckleball pitcher left in the major leagues. 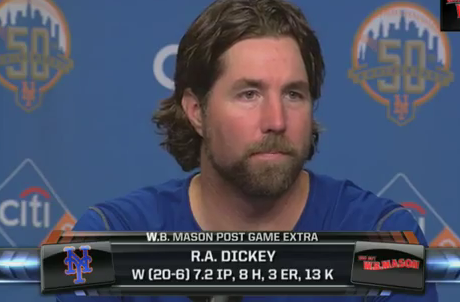 On a team that to-date has won only 73 games, the NY Mets, twenty of those games have been won by 37 year-old Dickey. He leads the national league in both strikeouts and complete games. He is the first knuckleballer to notch 20 wins since Joe Niekro over 30 years ago. That is the story for baseball fan in me. But by all accounts, Dickey is also a decent human being. A husband, a father, and one who has known enough disappointment and struggle to have gained a sense of perspective on what he has been allowed to do and to accomplish. He does not come across as one so full of his own greatness that the rest of us could not enjoy a cup of coffee or a mug of beer with him. His story, told in his memoir (Wherever I Wind Up ), and recounted in this NPR interview is one filled with abuse and resilience and redemption. Not incidental to Dickey’s take on life is his Christianity. He does not wear it on his sleeve (or in his eye-black), but he wears it as a genuine part of his person and a significant foundation for his life. He does not trumpet his Christian faith but he does not shrink from it. He does not link his success to his Christianity and thus stir theological questions when he fails. His Christianity is who he is and baseball is what God allows him to do in this stage of life. There is a genuine maturity in his faith as it is allowed to be seen. But it is not always allowed to be seen. In a World Magazine interview with him, he was asked about that. The subject [of your Christian faith] didn’t come up in your NPR interview. Dickey: I brought it up. They edited it out. I always look for opportunities to talk about my faith in a way that is congruent with the story or the question that they ask, because it is important to me that people know. Most of the time it will be edited out. Most of the time it will be edited out. The truth is, though, that God never gets edited. Dickey’s story, and his faith, will find its way to those who need to know and need to hear, whether that is from the platform of his thrilling success, or in his backyard someday when he is trying to encourage a son or a daughter to remain faithful to Jesus in the face of either failure or success. We take note of Dickey now because of his success. Baseball fans LOVE the rise of the underdog. I wish him the greatest further success. But we, like him, must build our hope not upon his or our success, but upon the story of another who proclaims and secures God’s love for us. And that story will never be edited out. If you want more on Dickey and on the knuckleball, try to see the new movie Knuckleball: the Movie. The trailer sounds like a winner! Built for Philip II between 1563 and 1582 of blue-gray granite quarried from the surrounding mountains, [the Escorial] measures 675 feet (nearly two football fields) by 530 feet (one and a half football fields), and contains 100 miles of corridors, 4,000 rooms, 16 courtyards. Reading that, it occurred to me that the English system of measurements were no longer defined by mere inches, feet, yards and miles. One commonly used but not officially acknowledged unit appears to be ‘the football field’. In the long tradition of creating measures out of visible things (unlike the metric system: “a meter is the length of the path travelled by light in vacuum during a time interval of 1⁄299,792,458 of a second”) the football field has become a standard for conveying a sense of size that is immediately accessible to most. Just like the cubit or foot, the football field gives us an immediate frame of reference by which to picture a matter of scale. So far so good. But what is a football field? Fans of American football know, of course, that the field of play is 100 yards. But does the football field measurement include the end zones? That is, is one football field really equal to 120 yards? Thus, is the Escorial “nearly” 200 yards or 240 yards? Perhaps the international football field is in view (the ‘soccer’ field to us Americans). Surprising to this soccer non-initiate is the fact that the length of the soccer field is not precisely defined. FIFA rules (pardon me, ‘laws‘) state that the field must be between 90 meters and 120 meters (helpfully adding that this is roughly equivalent to 100-130 yards). One wonders just what unit of measure the author of the article which started my musings really had in mind. Two football fields, using the wide range of standards available to us, would be anywhere from 600-780 feet. He states that the Escorial measures in one direction 675 feet, nearly two football fields. Given that range, an argument could be made that it measures EXACTLY 2.0 football fields, give or take 75 – 100 feet in either direction. Certainly we are in need of some standardization for ‘the football field’ to become an adequate unit of measurement. We need to start a movement. Once that is settled, then we can address ‘car length’. Baseball, it is said, is a game built on failure. A superb hitter fails twice as often as he succeeds. A hall of fame pitcher will have games in which he inexplicably gives up six runs in a three and one third inning blowout. One can learn perspective from a game built on failure. 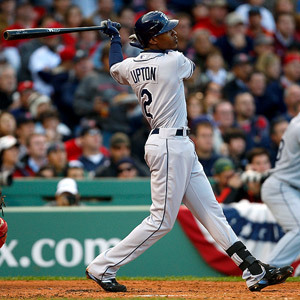 Tampa Bay Rays outfielder B. J. Upton Sunday had a day in which failure outgunned success. He struck out four times. After a walk, he was then picked off first (albeit making it to second anyway). And he missed a spectacular, but catchable catch in the ninth inning. It’s that last line that struck me. That’s perspective. I, too, had a bad day yesterday. I’m a preacher, and a good portion of each week is invested in preparing and delivering a sermon. It is easy to let a whole lot of my identity get wrapped up in that thirty minutes or so of public attention. And Sunday I felt like I struck out four times, got picked off first, and dropped a catchable fly. In my opinion, the sermon was malo. Asked later why I thought so, I gave my five irrefutable (!) reasons for my judgment, but I still lacked perspective. I was still mulling over the sermon this morning, unable to say, “But, you know what, it’s over with.” B. J. is ready to move on. I was not. But perspective is what we need. Most, if not all, preachers are going to have bad days. There will be sermons that just do not soar. There will be days when the heart fails to engage with the words. There will be days when we care far more about what this person or that thinks. And such days bother us when we forget that God can take the well meant words of a bumbling preacher and change the world. He can draw his straight lines with our crooked sticks. In the end, I realize, what suffers most in a sermon that just does not make the cut is my pride. When I care more for the ‘Great sermon, Randy’ than I do for the ‘Well done, good and faithful servant’ I will not be able to let go of the remorse when a sermon is malo. The problem, always, is in my heart. So, thanks, B. J. We both had a bad day. “But you know what, it’s over with.” I am still loved by God who has prepared work for me to do, and he has given me another week in which to do it.